In his 2010 book, "The Myth and Mystery of UFOs," US researcher Eddie Bullard listed his thoughts on categories of people who study UAP. Among his categories were "skeptics," "activists," and "scientific ufologists." Each of my "cold case" reviews involved a critical re-examination of the evidence, almost always drawn from tracking down and closely looking at original documentation, some of which no-one else had seen before. The opposite of my scientific approach to the subject, is to be seen in the work of some "investigators" who also claim to be researching the subject using a "scientific" approach. Here, in my opinion, there is much "hot air," and little or no substance. Recently, I have tried to locate any written, detailed case reports published by three individuals who claim to be following a "scientific" approach. Two are Australian and one is American. I failed to find a single published, detailed case report of theirs on the Internet, or in UAP Magazines/Newsletters/Journals. This is suggestive that, despite their claim to follow a "scientific" approach, they fail to live up to this approach. Attracting raw reports via electronic Internet forms on websites, is simply the first step in the process. It is too easy these days for anyone to submit an electronic report to UAP groups. A look at the types of reports being made to various electronic databases, reveals the questionable nature of some of them, e.g. how many are straight out hoaxes? Once reported to an electronic system, or indeed via telephone, the old fashioned letter, or any other means, the next stage in the process should be to conduct an investigation by contacting the witness. Some raw reports are made anonymously and therefore no follow up is possible. In my opinion, an un-investigated anonymous report has little value. When contact details are given, it is then necessary to speak to the witness in person. Reporting by someone in Australia, to an overseas database may mean no local interview is performed by anyone. This face to face interview is critical. Besides taking note of the details of the reported occurrence, an experienced investigator will also gain a "feel" for the genuineness of the reporter and hence the report. My preference is to conduct this face to face interview at the site of the incident, wherever possible. Once details of the event are recorded, the next step is to critically examine of these details. A check for aircraft movements; planets; stars; satellites needs to be made. The weather at the time should be investigated. For a full list of investigative tools, click here. By this analysis, I am looking to see if a mundane explanation could explain the observation. My experience, and that of others, is that 95% of incoming raw reports have conventional explanations. As I mentioned above, I rate publishing the details of investigations and research, equally as important as carrying out a detailed investigation. This allows for a scientific "peer review" of both your data and your conclusions, a very important part of the scientific process. Sometimes, this also attracts the attention of members of the mass media. An example of this are remarks I made at the 2014 Melbourne, VUFOA conference, about the need for an Australian quick response team. The following morning, newspaper and radio items appeared about my remarks. I did not seek this publicity, it simply followed me presenting a conference paper. As a result I was asked to go on a number of radio shows to be interviewed about my thoughts. I carefully selected those on which to appear, and turned other requests down. Similarly, the mass media picked up on aspects of the research conducted by myself about the 19 March 2014 Perth near-miss, between an aircraft and an unknown object. I did not seek out this publicity, it simply followed publication of my research. I turned down a number of requests to be interviewed about the case. I find it odd, therefore, that an Australian researcher recently has suggested that I am "seeking publicity." This is not so. I reject something like 9 out of 10 mass media requests for interviews, including one recent approach from Channel 9 television to discuss pilot observations. So, my process is, collect incoming raw reports; conduct a personal interview (on site if possible); document the evidence presented by the witness; followed by an analysis; then preparing a detailed, written case report, and finally publishing it for peer review. This process produces a small, but screened, number of examples of the "core" UAP each year. 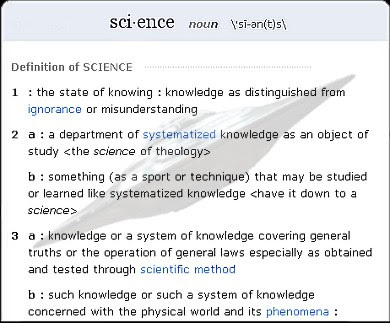 The above is how I believe that a scientific investigation of UAP should be conducted. Looking around, both overseas and here in Australia, I see far too many people who state they are following a "scientific" approach, who fall short of the standards I expect of my own research. I realise that this is not something that some people will like to hear, but I tell it as I see it.